Mint ice cream recipe without ice cream maker – An eggless ice cream with chocolate and fresh mint flavor. It can be made with or without an ice cream maker. I made this mint ice cream a few weeks ago when the kids holidays just started. 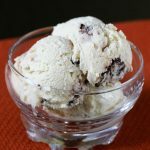 If you like the flavor of mint and the creamy rich texture of homemade ice cream then you will love this. This can be made with or with out any chocolate in it. 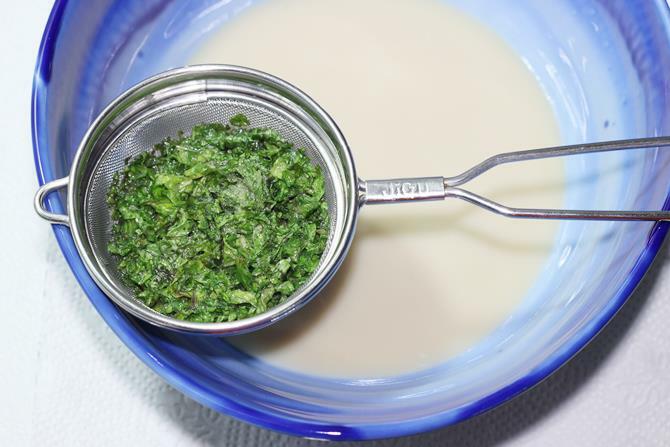 To make mint ice cream, usually few drops of food color is added. I haven’t used any but the flavor of fresh mint itself is so good that color doesn’t really matter. 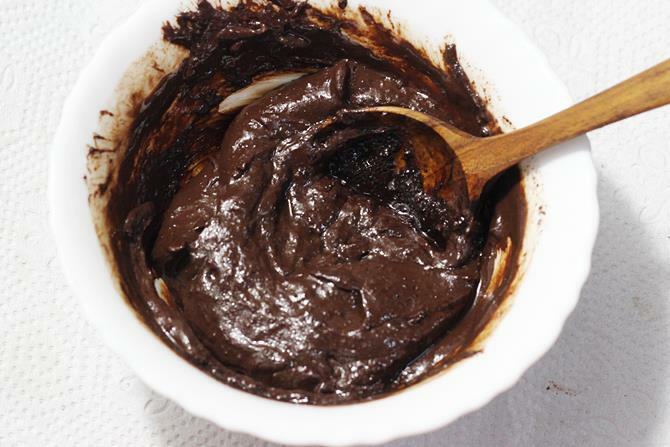 If you still prefer you may add it to the ice cream mixture just before whipping or churning it. I used Lindt mint chocolate, You can just use semi sweet mini chocolate chips or completely skip it to keep the natural flavor of mint dominant. 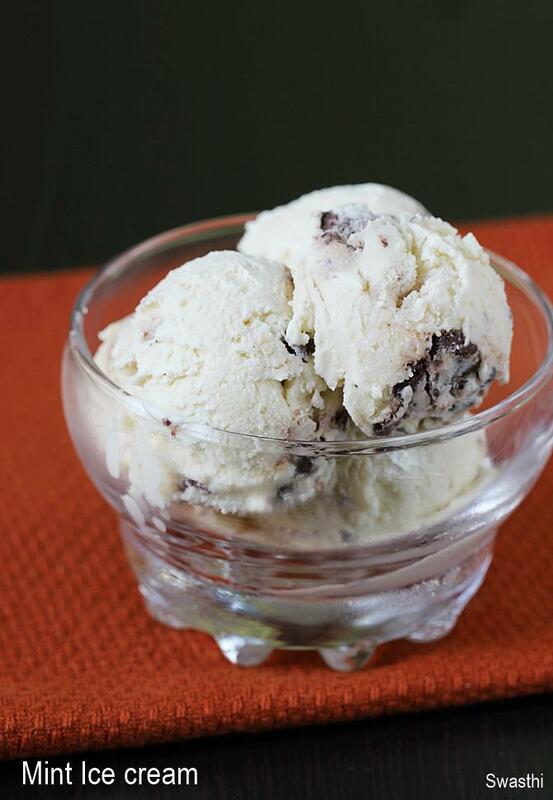 Homemade ice cream recipe with chocolate and mint flavor. It can be made without an ice cream maker. Chill the cream. Wash mint leaves very well. Drain them completely. Bring milk to a boil. 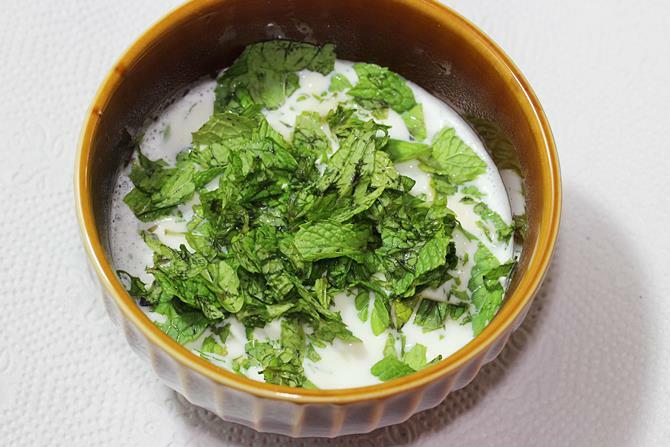 Chop the mint and add them to milk. Add sugar as well. Refrigerate for at least 4 hours. Filter the milk and press down the leaves against a filter to extract the flavor completely. Add cream to this. 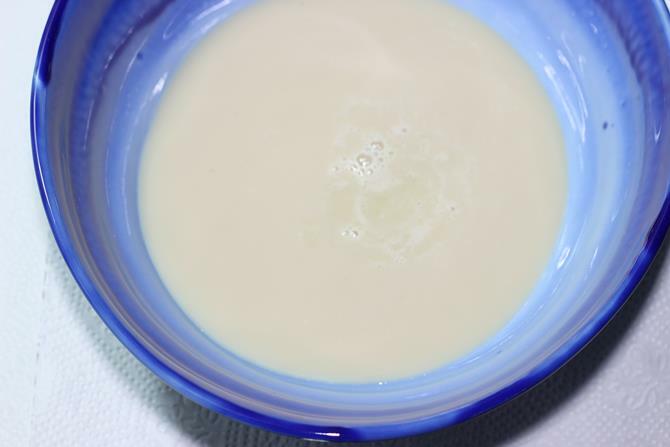 If using low fat milk, just scoop the top portion and discard the whey. Whip it using a hand blender until thick. Or churn it in a ice cream maker for 15 to 20 mins. Transfer half of the ice cream to a freezer safe bowl. 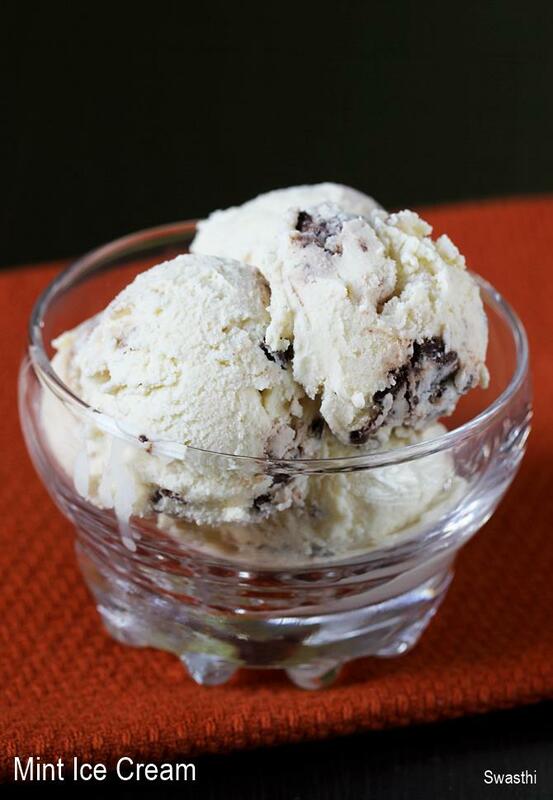 If using choco chips you can add them directly to the ice cream, Or Melt the chopped chocolate with milk. Drizzle over the ice cream. Transfer the rest of the ice cream and then the chocolate. Freeze until set or overnight. Scoop and serve mint ice cream. 1. Bring 1 cup of milk to a boil. I did it in a pot and transferred to a bowl. 2. Add 2 cups mint leaves. I chopped and used it here. 3. Add 3/4 cup sugar. I used organic turbinado sugar, so the color of my ice cream was not fully white. 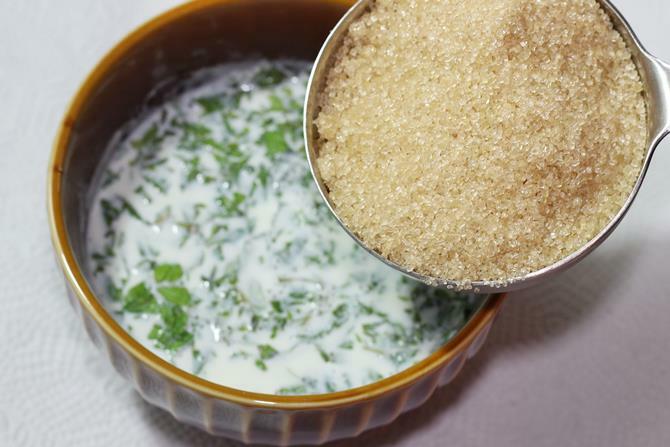 Stir well until the sugar completely dissolves.Refrigerate for 2 to 3 hours. I left it over night for intense flavor. 4. 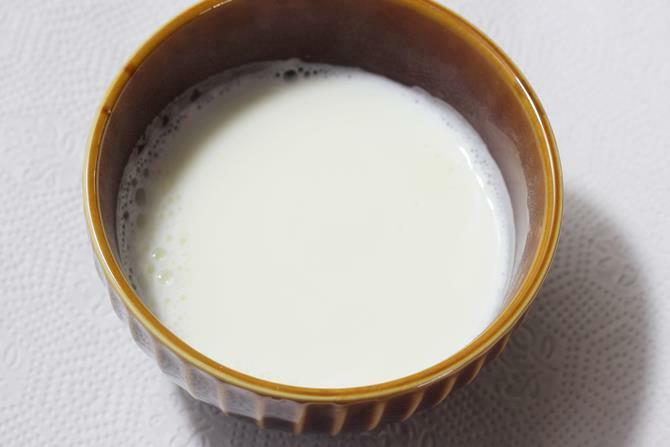 Filter the milk to a large bowl. Press down the leaves with a spoon against the filter. 5. Milk turns slightly thick at this stage. 6. Add 2 cups of chilled cream. Any cream with at least 30% fats work good. 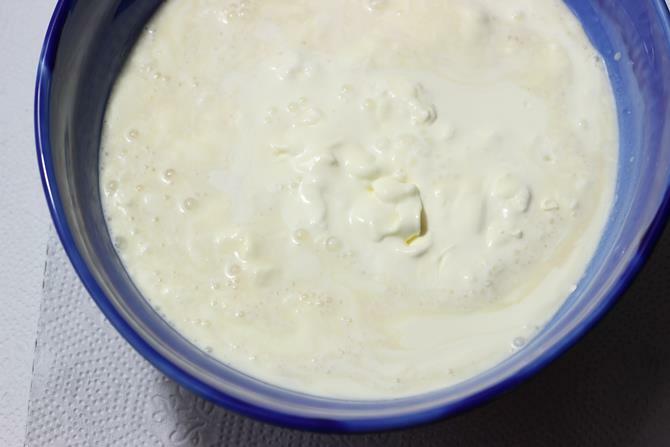 If you are using low fat cream like amul, then scoop up the top portion of cream and discard the whey. 7. If you do not have a Ice cream maker then whip the cream until it thickens. Do not over whip. 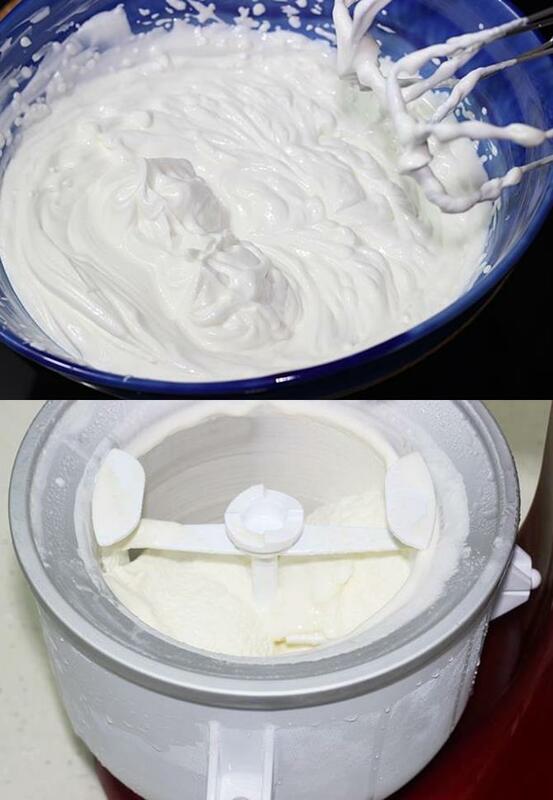 If you have a Ice cream maker or a kitchen aid with Ice cream attachment, then freeze your bowl for 18 to 24 hours. Churn it for 15 to 20 mins. 8. 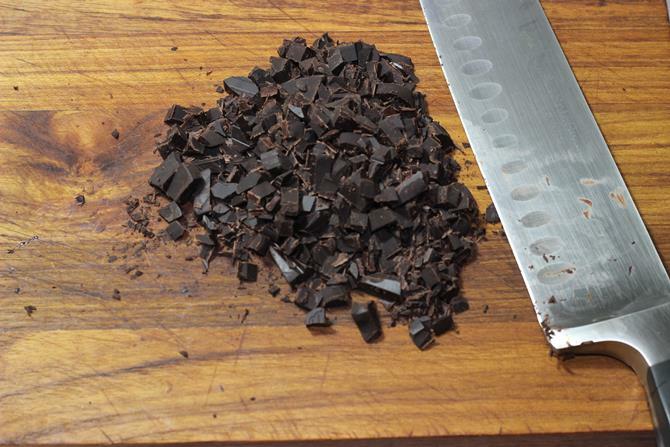 While the ice cream churns, you can prepare the chocolate. As i mentioned above, using chocolate is completely your choice. 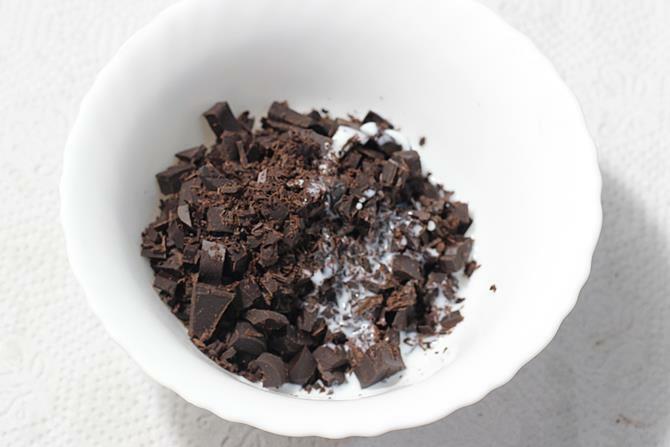 I felt the chocolate is more dominant in this recipe, so you can completely skip it or reduce. Lindt mint chocolate didn’t go well for us as the chocolate is bitter with very less sugar in it. So judge and use according to your taste. You can also just add the choco chips directly. 9. Add milk to the bowl along with chopped chocolate. 10. Microwave for 20 to 30 seconds. Stir and repeat until the chocolate melts. 11. 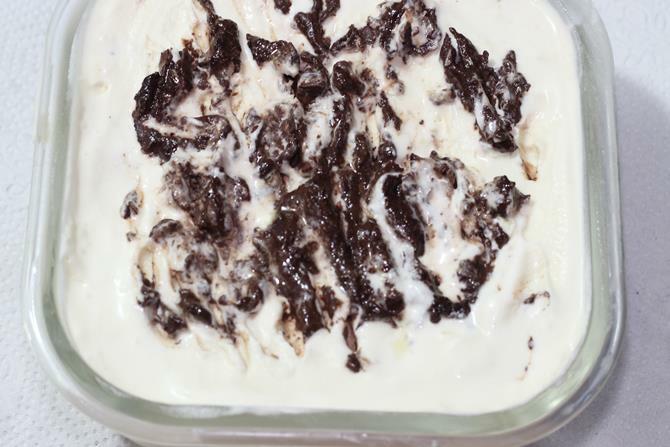 Transfer half of the ice cream to a freezer safe bowl and drizzle the chocolate. Transfer the rest and drizzle the rest of the chocolate. I overheated the chocolate so it became lumpy and was not spreadable. Make sure your chocolate is of pouring consistency by adding more milk while you heat it. This helps to make good swirls over the ice cream. Freeze it overnight to set. Scoop and serve.